Buy led Flash Luminous Watch Personality Trends Students Lovers Jellies Woman Men's Watches 7 Color Light Wristwatch at Narvay.com. Led Light Flash Luminous Watch Personality Trends Students Lovers WristWatch online at best prices.Led Light Flash Luminous Watch Personality Trends Students Lovers WristWatch. 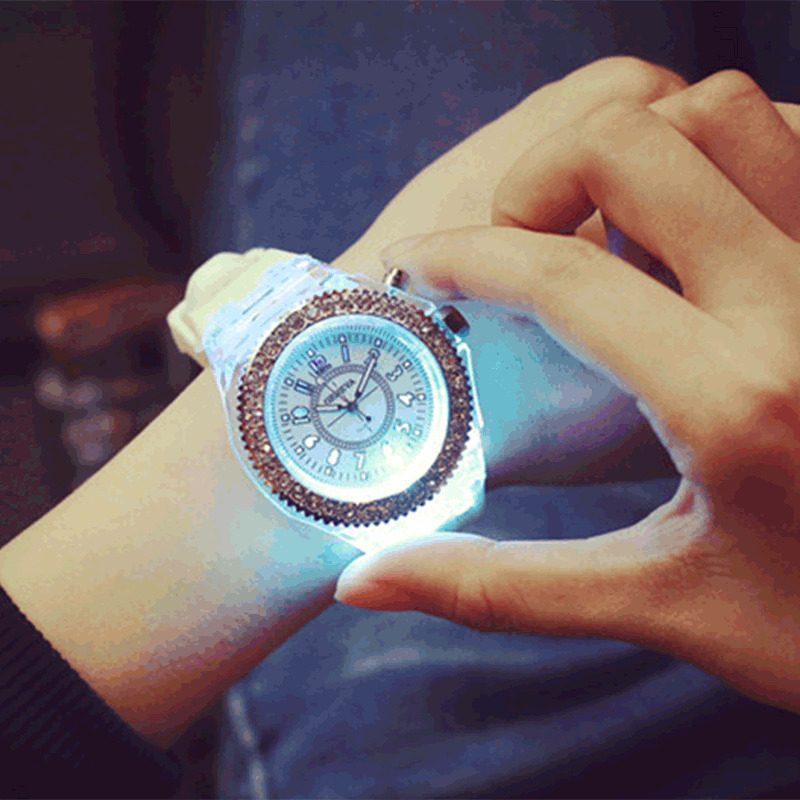 Owesome watch.... Would rate 10 stars.... Seller even sent a spare battery ❤️❤️ Recommended!! Watch keeps accurate time thus far. Nice watch face. The light flashes in different colors when you push a button. Fun to give as a gift. Thank you! Thank you arrival earlier than expected. His lights are great. The watch looks beautiful, but the lid does not hold well, fast delivery. Thanks to the seller. Everything works as it should. But here is the size of the strap large. My hand is big. This is suitable for full ladies. Thank you! The clock is cool, everything works, the seller put the battery! Delivery month to omsk! Seller recommend! For hours was satisfied, i recommend delivery fast, the quality is good, the strap is rubber, took in white, without illumination on the hand look expensive, with it in my opinion cheap. definitely worth their money. The parcel was a month, very well packed no damage. Thank you seller!!! beautiful watch , I little too big for my wrist. But I like it. very fast delivery. works great. the packaging could be better but overall good.